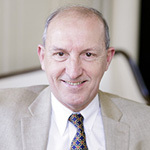 Gordon Graham is Henry Luce III Professor of Philosophy and the Arts at Princeton Theological Seminary. We invited him to answer the question “What is Philosophy of Religion?” as part of our “Philosophers of Religion on Philosophy of Religion” series. Philosophy of religion has for several decades been thought identical with philosophical theology – brilliantly revitalized by a host of very able philosophers, most notably perhaps, Richard Swinburne and Alvin Plantinga. Before the publication of Swinburne’s Existence of God, and Plantinga’s God and Other Minds, philosophy of religion was largely in the doldrums. Metaphysical questions had been abandoned, and the subject was for the most part confined, (as moral and political philosophy were for a time), to the application of philosophy of language to religion. A few decades later, however, the subject had been transformed. It now has substantial metaphysical and theological content. The number of both prominent and promising philosophers engaged in it continues to grow, and they have produced innumerable very high quality books and journal articles. There is, however, a different kind of philosophy of religion. This alternative is not incompatible with the traditional arguments of philosophical theology, or indifferent to the philosophical exploration of divine attributes, and it relates to the science/religion debate, if somewhat obliquely. Its principal aim, though, is neither to sustain nor to undermine the rational foundations of religious belief, but to arrive at a philosophical understanding of religion as a human phenomenon. It is, in other words, ‘philosophy of religion’ properly so called, rather than theistic metaphysics. Philosophy of religion in this sense is not my invention. It can be described as an exercise in the line (though not necessarily the spirit) of Hume’s Natural History of Religion (1757). This now relatively little known work is usefully contrasted with his much more famous Dialogue, which in many ways set the tone and content for the sort of philosophical theology that is chiefly concerned with arguments for and against the existence of God, life after death and miracles. The philosophy of natural religion pre-dates Hume — in Spinoza’s Theological-Political Treatise (1670), for instance. It continues in The Religious Affections (1746) a book by Hume’s contemporary Jonathan Edwards, and rises to new heights after Hume’s time in, for example, Schleiermacher’s Speeches to the Cultured Despisers of Religion (1799) Mill’s essay on ‘The Utility of Religion’ (1875), Nietzsche’s Twilight of the Idols (1888), William James’s Varieties of Religious Experience (1902) and Rudolf Otto’s Idea of the Holy (1917). Then it stops – pretty much. I know of only one contemporary example of this alternative kind of philosophy of religion — Mark Johnston’s Saving God: Religion after Idolatry (2011). Despite this long and venerable intellectual history, philosophical interest in religion is now almost completely dominated by metaphysical and epistemological debates between theists and atheists. As a result, a whole range of interesting issues gets ignored, in particular questions that connect religion (as Hume does) with the philosophy of mind, emotion and action. One way of highlighting them once more is to resurrect the concept of ‘true religion’, an expression frequently used by philosophers in the 17th and 18th centuries. ‘True religion’ like ‘true friendship’ or ‘true patriotism’ is not propositional, and so it ought not to be confused with religious or theological truth. Here is another indicator that the concerns of philosophy of religion as I am describing it are not those of theistic metaphysics. This alone sets it apart, because the availability or impossibility of religious truth, natural or revealed, is the primary focus of debates about the status of religion in the contemporary intellectual culture of Europe and America. But just as the opposite of ‘true art’ is kitsch, not fiction or fantasy, so the opposite of ‘true religion’ is superstition and idolatry, not science. ‘True religion’ tries to uncover the connection between religion and the faculties of mind – or in 18th century language ‘human nature’ – that is to say, thought, emotion, action, imagination and will. Is religion properly so called, to be found in distinctive kinds of beliefs, or feelings, or experiences, or actions? What is the relation between religious doctrines, theological inquiry, moral action, communal worship, personal spirituality? What is the difference (if any) between religion and magic, religious contemplation and aesthetic experience, religious devotion and ethical action? What is it about religion that has sustained a deep connection with music, painting, poetry and architecture over millennia? These questions are both old and new, and they are philosophical. They are old because versions of them can be found as far back as Plato; they are new because hardly any contemporary philosophers try to frame answer to them. So they constitute what we might call a refreshing intellectual agenda for philosophy of religion.